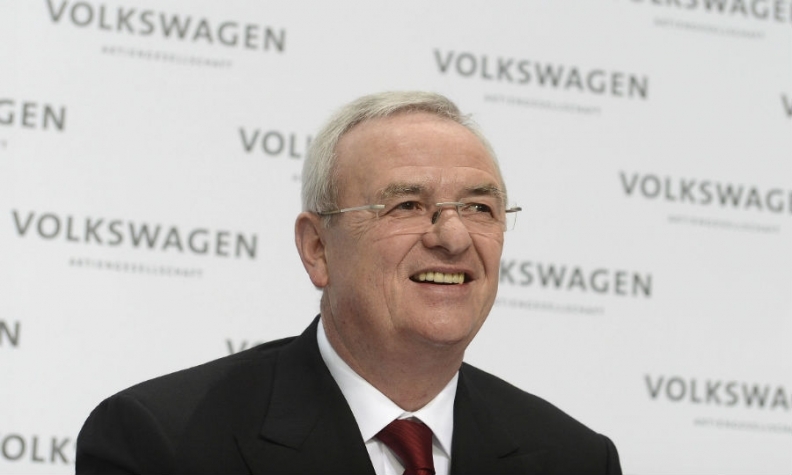 Winterkorn is focusing on VW's future after Piech's ouster. HAMBURG -- Volkswagen Group CEO Martin Winterkorn has told senior staff that he will present a new structure for the automaker by October at the latest. "We are preparing the company for the coming 10, 20 years," Winterkorn told 1,000 VW employees at a meeting in the company's home town of Wolfsburg, Germany, on Thursday, with another 4,000 viewers at nearly 60 of the company’s 118 facilities worldwide watching by videocast. “It is time to further develop our management model and rearrange structures. We must become faster, more efficient and more agile,” he said, according to Automobilwoche sources. Automobilwoche is an affiliate of Automotive News. Winterkorn made no reference to the changes under consideration but a supervisory board member said last month that the company will hold a special meeting in June to discuss further changes to its leadership structure, such as possibly aligning individual brands more closely. Winterkorn said problem areas within the company are being tackled such as the company's flagging U.S. business, the delayed launch of a budget car for China and low profitability of the core VW brand. "We will redouble our efforts everywhere where we are still punching below our weight. We have long since started tackling our tasks with the full support of the supervisory board," he said. The CEO welcomed the coming arrival of former BMW executive Herbert Diess, who takes charge of the core VW brand on July 1. "He is the right man in the right position at the right time. I look forward to working with him," he told the meeting, according to sources. Winterkorn said he still cannot understand why former VW Chairman Ferdinand Piech criticized his leadership but thanked Piech for his "enormous" contribution to the automaker. A VW spokesman confirmed a management conference had been called Thursday on short notice. Winterkorn's comments come as he returns his focus to business after a showdown with Piech led to the former chairman's shock ouster two weeks ago. VW has pledged to make annual cost savings of 5 billion euros ($5.6 billion) at its passenger-car brand by 2017 as it seeks to close a profitability gap with global leader Toyota.